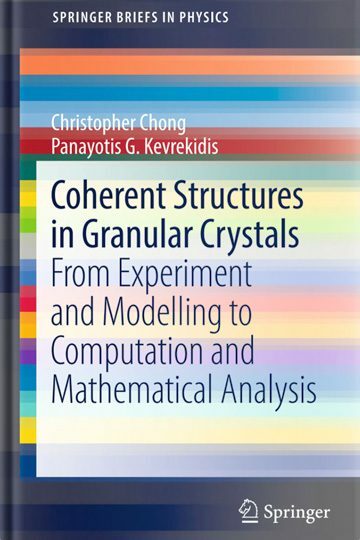 This book summarizes a number of fundamental developments at the interface of granular crystals and the mathematical and computational analysis of some of their key localized nonlinear wave solutions. The subject presents a blend of the appeal of granular crystals as a prototypical engineering tested for a variety of diverse applications, the novelty in the nonlinear physics of its coherent structures, and the tractability of a series of mathematical and computational techniques to analyse them. While the focus is on principal one-dimensional solutions such as shock waves, traveling waves, and discrete breathers, numerous extensions of the discussed patterns, e.g., in two dimensions, chains with defects, heterogeneous settings, and other recent developments are discussed. The emphasis on the subject was motivated by models in condensed matter physics, ferroelectrics, high energy physics, and statistical mechanics, leading to developments in mathematical analysis, numerical computation and insights on the physical aspects of the model. The book appeals to researchers in the field, as well as for graduate and advanced undergraduate students. It will be of interest to mathematicians, physicists and engineers alike.